Prison is the least likely place where a person would expect to earn a degree in theological studies, but on a summer morning in Central Alabama county, 10 inmates from the Bibb Correctional Facility in Brent were awarded certificates and four inmates earned Masters of Arts in Biblical Studies from the Birmingham Theological Seminary (BTS) Prison Initiative. 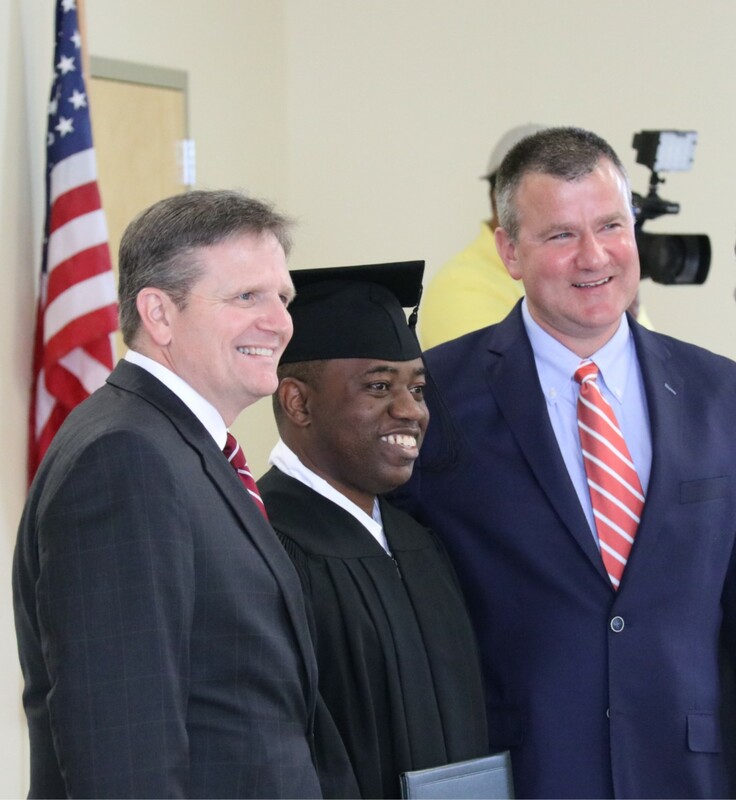 Dr. Thad James, BTS Vice President and director of the prison initiative, welcomed graduates and guests to the seminary’s inaugural graduation ceremony held at the state prison on Sept. 14. “This first cohort group is a true testimony and affirmation to the redemptive and transformation work of Jesus Christ in the hearts and minds of men,” said James. During the program, James said he observed the students growing both theologically and spiritually in their relationship with God and man. The BTS Prison Initiative Program is an intensive, two-year ministry training program for inmates in the Alabama corrections system. Every other year, 15 inmates are interviewed and selected from various state prisons and transferred to take seminary classes that are taught at the Bibb County Correctional Facility.